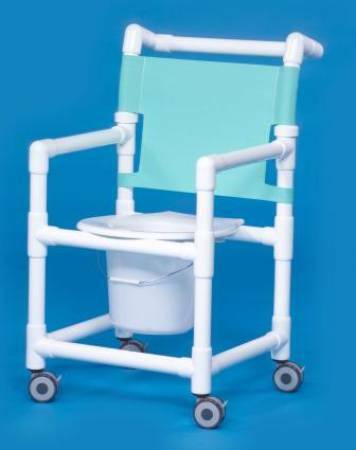 Our PVC shower commode chairs are lightweight, easy to maneuver, and easy to clean. All models featured have a 300 lb. capacity They are 20 inches deep. (Extra capacity and bariatric models also available). Each model comes with its own special features such as soft seats, slanted seats, collection buckets, drop arms etc. No-rust locking casters are included on all models. Find the model that best suits your needs!! If you do not see what you are looking for, inquire about our fully customizable units to meet your facility’s specific needs!